Composed by Solomon Ebong, third-year student of Mass Communication, University of Nigeria, Nsukka. If you want your creative writing to appear on edithohaja.com, you can forward it to auntyedithonline@gmail.com. You are blessed! My birthday was yesterday. Thank you for this. May your birthday usher you into a greater harvest of God's blessings in Jesus' name. Cheers! This is super cool ma'am. It blessed My life. BIRTHDAYS ARE DAYS OF REMEMBERING HOW FAR GOD HAS BROUGHT US AND THE VARIOUS THINGS HE HAS BEEN DOING. ACCORDING TO THE POST, IT IS NOT A TIME TO DELIBERATE BUT TO JUBILATE AND BE GRATEFUL FOR THIS VARIOUS GOODIES IN OUR LIFE. OH LORD, MAY OUR BIRTHDAY ALWAYS OPEN OUR EYES TO YOUR LOVE AND PEACE. Well composed. It's true, Birthdays should be special days of thanking God especially, for the breath of life, what He has done, and what He is yet to do for you. Not just eating, drinking and dancing alone. May His name be praised! My birthday is always the most exciting day of my life, because my God has always protected me and will always protect me nice post ma. Very nice song! We should spend more time in praising and appreciating God rather than deliberating on things that are irrelevant.Let's appreciate today and hope for tomorrow which is another day. Birthdays should be an opportunity for us to thank God for all his goodness and mercy upon our lives, gift of life, and how far he has led us in life. its a poem for everyone. our birthdays are very special days. 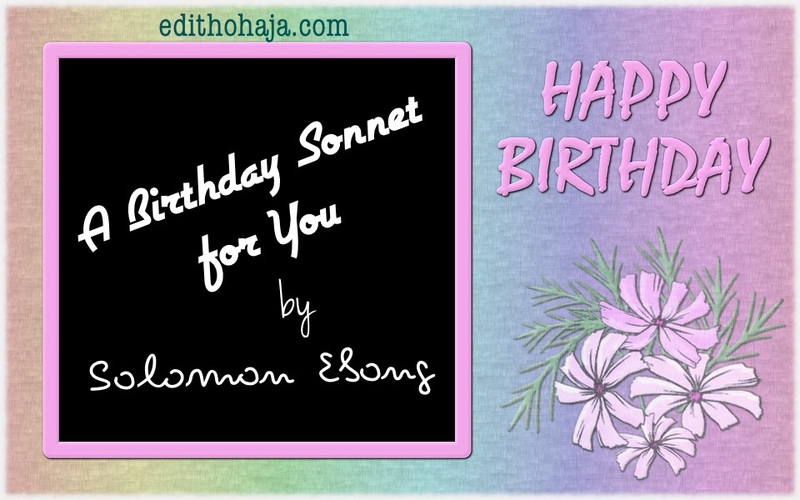 the poem is so lovely that when said to one on his/her special day, it will make the person feel special and loved.